SAVE THE DATE! Don’t miss this!! April 7 at 6 p.m. in the Evangel Fellowship Hall. 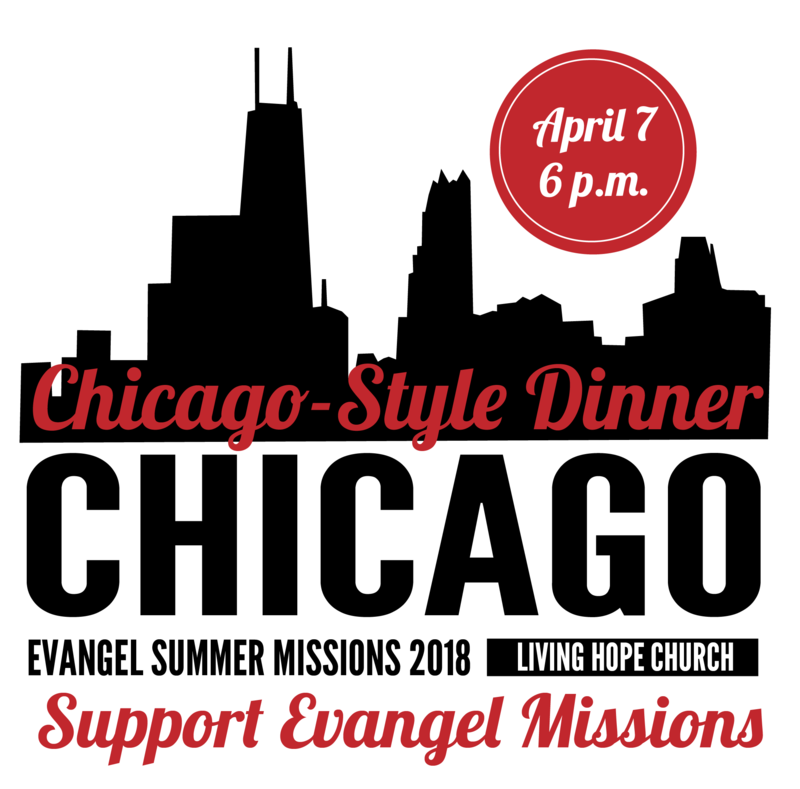 We have a great opportunity for you to enjoy a wonderful Chicago-style meal together while supporting the 2018 Summer Missions trip. We are thrilled to be welcoming Rebekah King, our guest speaker. Rebekah is Executive Director of Hope Works Community Development at Living Hope Church, where we will be heading this June. She will be sharing about Living Hope’s ministry to the south side of Chicago. Our offering will support the 2018 Summer Missions trip. RSVP on the sign-up sheet in the Narthex so we can plan to prepare the right amount of food.